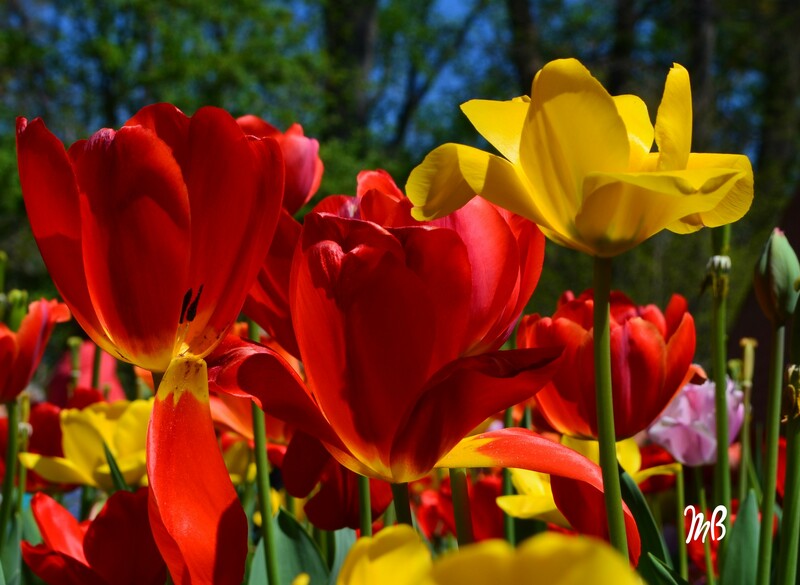 Spring welcomes in brightly colored tulips as they bask and glow like fire in the sunlight. They sway in the warm fragrant breeze under the clear blue sky..The colors of Spring can brighten any dull day and chase the blues away. Ahhhhhh, Spring has definitely sprung. Nature at some of it’s finest.